If you want a travel destination where you don’t have to be concerned about crime, why not visit North Dakota’s capital city, Bismarck? According to a study concluded by Cambridge University, Bismarck is one of America’s safest cities. What’s more, Bismarck offers a wide range of attractions and fun things to see and do. 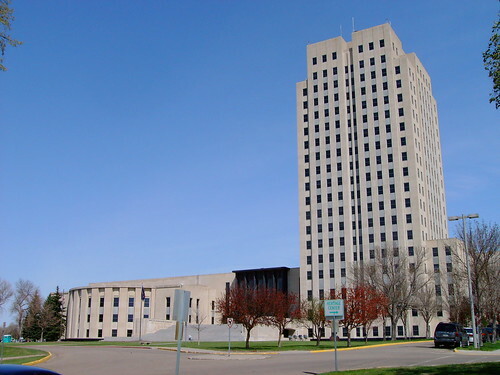 Bismarck’s top tourist attractions include the State Capitol building. Standing 19 stories tall, this art deco building complex also houses the State Library, Governor’s Residence, the Liberty Memorial Building and the North Dakota Heritage Center. A tour of the complex offers you the opportunity to learn about North Dakota history, art and culture while the sprawling outdoor grounds offer numerous parks and walking trails. Another major Bismarck attraction is the Ft. Abraham Lincoln State Park, a historic fort associated with the Battle of the Little Bighorn. The park features ruins of an Indian village, a museum, campground and nature trails for hiking and horse riding. The whole family can enjoy fun at the Dakota Zoo, which houses more than 600 animals that are represented by 125 different species. Some of the species you can observe here include animals in free range habitats like reindeer, bison, tigers and snow leopards as well as a large aviary with various birds like eagles, owls and emus. You can also visit a monkey barn, a butterfly house and a prairie dog town here. If you enjoy arts and culture, you will not be disappointed in Bismarck. Opened year round, the Bismarck Art and Galleries Association displays a wide array of art works, including paintings, sculptures and photography by local and national artists. Located at the State Capitol Building, the North Dakota Heritage Center features various exhibits detailing the geology, history, art and culture of the area through fossils, artifacts, art works and photographs. The Belle Mehus Auditorium is an arts center presenting a wide range of performances from theater to dances and symphony concerts. Sports fans and outdoor lovers will appreciate Bismarck’s recreational scene. Located nearby by hotel accommodation, the Bismarck Civic Center is the place to catch a live ball game of football, ice hockey or basketball. Golfers can choose among five different golf courses in the area, which include the Apple Creek Country Club, Tom O’Leary Golf Course, Hawktree Golf Club, the Riverwood Golf Course and the Pebble Creek Golf Course. The Missouri River offers numerous outdoor activities like swimming, fishing, boating, water skiing, tubing, camping and more. Stretching along the shores of the Missouri River, the Sertoma Park is home to the Super Slide Amusement Park, the Dakota Zoo and miles of biking and hiking trails. In the winter time, the Huff Hills Ski Area on the Missouri River is a great place for snow skiing and other winter sports. What’s more, the McDowell Dam and Nature Park offers swimming, fishing, paddle boating, canoeing, kayaking and more. Ranging from upscale malls to bargain shops, Bismarck offers a diverse shopping scene. Popular places include Kirkwood Mall, Pinehurst Square, Gateway Fashion Mall, Arrowhead Plaza and Northbrook Mall. Bismarck’s climate features hot summers and cold winters with light to moderate snowfall while spring and fall are mostly pleasant with occasional thunderstorms. No matter what your budget or preferences for hotel choices in Bismarck, you can find great deals online now.